The portable Bluetooth speaker market has exploded lately, with new offerings seemingly popping up everyday. Despite this, the guys at Killer Concepts couldn't find something that had all the features they were looking for, so, like any logical human being would, they set out to create their own. 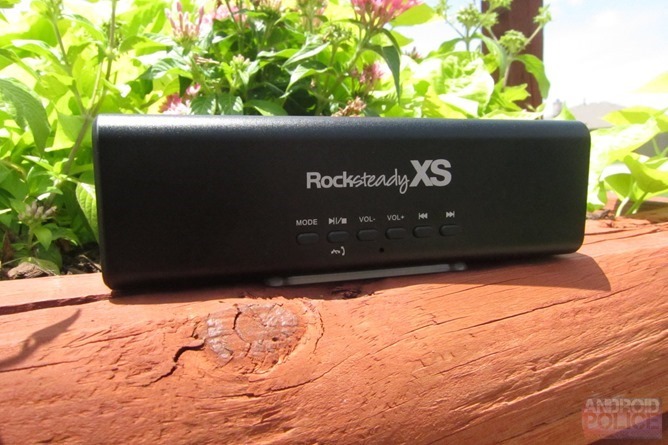 The end result was the Rocksteady XS, a speaker that claims to be "louder, clearer, and longer lasting" than the competition. The original iteration brought some interesting features to the table, including a removable/replaceable battery; it also has pause/play/forward/reverse controls directly on the front of the unit, which is something all BT speakers should offer. 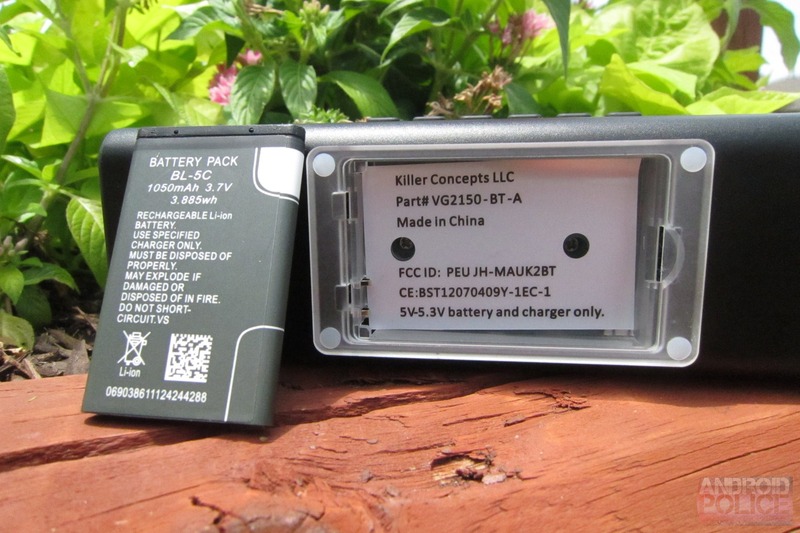 The newest release – which keeps the same name and tacks a "1.5" to the end – also brings a few new features, including a speakerphone, the ability to connect up to two devices at once (and on-board memory of the last four devices), and a dual-function USB port that also works as a portable charger. Unfortunately, the unit only houses a 1050mAh battery, so the latter feature is of little use on a modern smartphone, though I guess it could supply some extra juice in a pinch – say, during the zombie apocalypse, for example. There is absolutely nothing special about how the Rocksteady XS looks. In fact, it's pretty boring. But you don't buy a speaker for its looks, so I guess that's a moot point for most people. 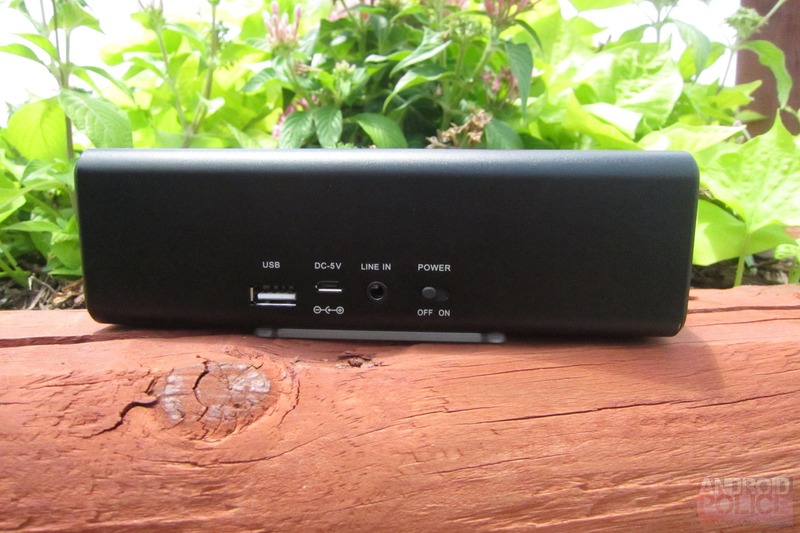 The dual speakers (one on each end) are housed in an all-black aluminum case with controls on the front; USB, charging, line-in ports, and power switch on the back; removable battery on the bottom; and an air intake on the top. The full-size USB port on the back can be used to not only charge your Android device (again, it's only 1050mAh), but also to play MP3s directly from a thumb drive, which is a nice touch. 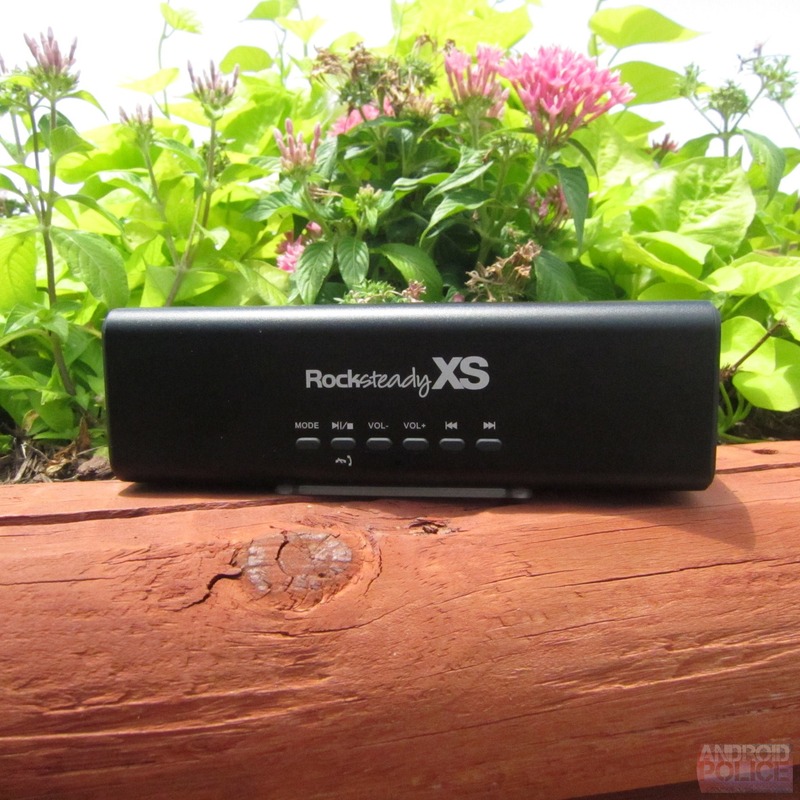 When it comes to battery life, the Rocksteady XS 1.5 is in it for the long haul. 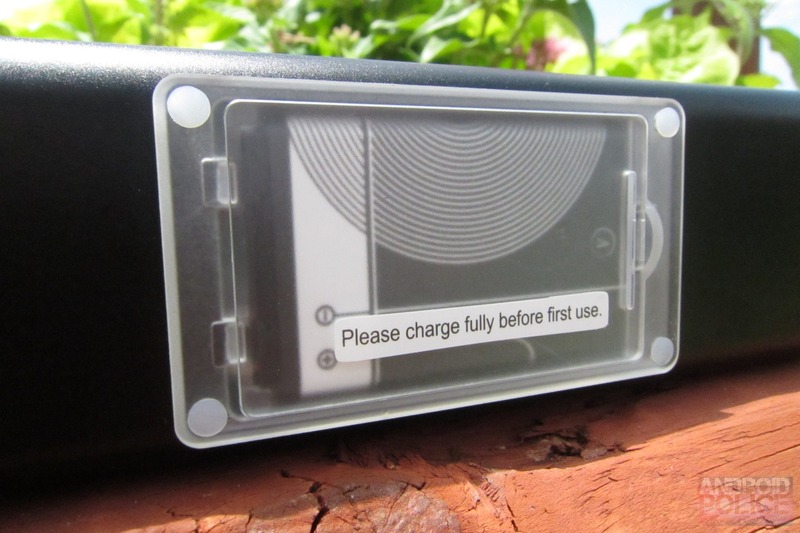 It's rated for over 10 hours of use (as long as you don't use it to charge your phone, of course), and it easily provides every minute of it. The fact that it a removable battery is also nice – you'll be able to pick up a couple of spares (which aren't yet available, unfortunately) and keep them in your bag, so you're good for 30+ hours of play time. In addition to its media-playback merits, the XS 1.5 also doubles as a speakerphone. Calls can be answered/ended directly from the unit, and its amazing volume helps keep things sharp and audible. Compared to other speakers that don't perform half of the functions offered on the Rocksteady, the $99 price seems to be a good value at first blush. But the real focus with any speaker is sound, and everything else is secondary. If it doesn't sound good, it can charge devices, connect to them all at once, or any amount of other features, and it's still not worth having. The Rocksteady XS, however, is a bit of an oddity in my opinion: it's loud, it's multifunctional, and it has long battery life. Those are all respectable features for a speaker to have, but it's missing one key feature: good, rich sound. It suffers from the same issue that so many small speakers do: too much treble and not enough bass. The mids are well balanced, and the treble keeps everything crisp and sharp, but it's lacking so much in the low end that it doesn't have any oomph to it. Sure, you can tweak the bass output with an EQ on your device, but you'll never be able to bypass the speakers' physical limitations. Oh, and if you do that, it sounds like garbage when turned up, because the speakers simply can't handle the added bass boost. 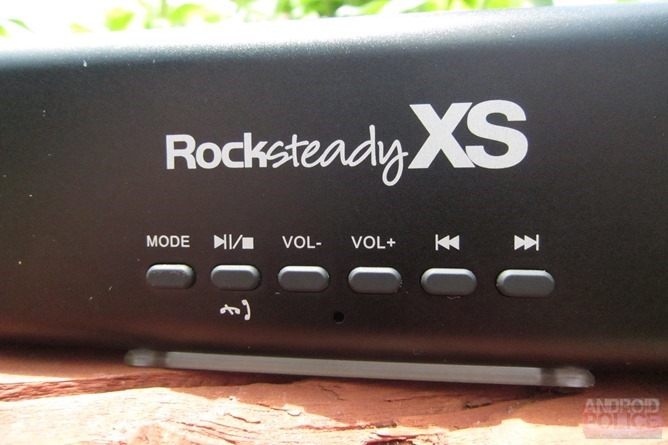 Whether or not you enjoy tunes from the Rocksteady XS is, of course, very dependent on the type of music you listen to. For example, if you're dubstep, electronic, or hip-hop/rap fan, the XS will likely be very underwhelming and not provide a good listening experience due to the lackluster bass. As a metal/rock fan, I fall into that same boat – heavy music just doesn't sound good when speakers can't bring that raw low end. However, I streamed some [email protected] with the device for a few hours while working on this review, and it worked fine for that. Basically, if you listen to music that depends on low end to produce the intended vibe, the Rocksteady XS probably isn't your best choice. There are two circumstances when it's a great speaker to have, however: if you don't mind an absence of bass, and/or if you love it loud. This may be the loudest Bluetooth speaker I've ever heard, which is a great feature to have if you plan on using it at picnics, at the beach, or any other situation where you're outside. In fact, for those situations, the loudness factor completely overrides the weak low end and almost immediately makes this a great speaker to buy if you generally intend to use it outside and/or in noisy environments . 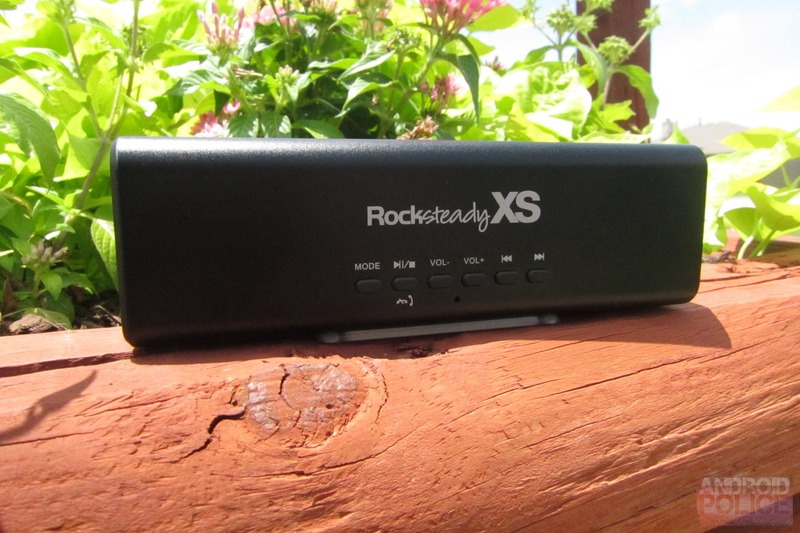 There are a lot of things to like about the Rocksteady XS: it's extremely loud for a device of this size/price, has a long-lasting, interchangeable battery, can be paired with two devices at once, and it works as a portable charger. Unfortunately, it's lacking a good, strong low end, which could be a deal breaker for some users. 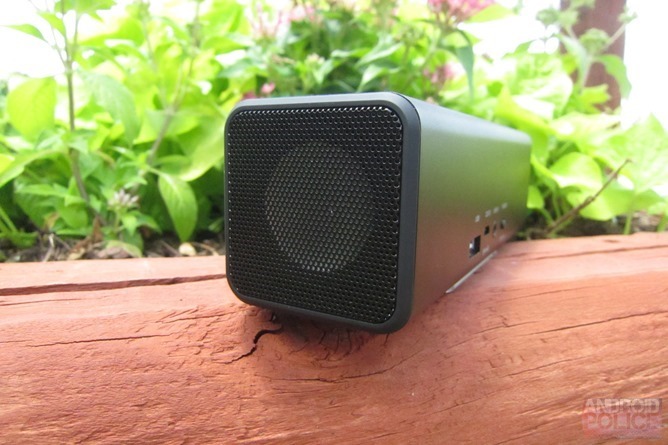 Ultimately, it depends on what you want out of a portable speaker. If sheer volume is your top priority, it's hard to go wrong with the XS; unfortunately, that's all it has going for it as far as sound quality is concerned. If richer sound at lower volumes is where it's at for you, then you may want to keep searching.